The Tenants Information Service (TIS) announced in March the fifth Frances Nelson MBE Award which in 2013 is being sponsored by Dundee City Council. 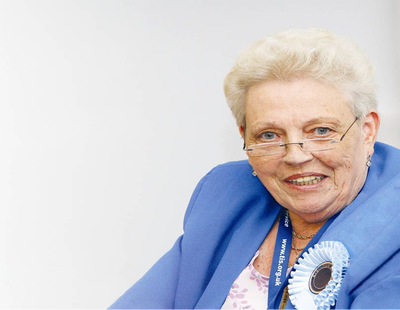 Frances Nelson MBE was a founding member and Chair of the Dundee Federation of Tenants’ Associations (DFTA). She was involved with TIS from 1993 and became Convenor in 2003. TIS now wishes to remind anyone thinking of nominating a tenants’ or tenants’ & residents’ organisation that it is not too late. There is one award for an umbrella organisation and one for a local organisation. The closing date for the award is midday on Friday 26th April 2013. The award is open to any tenants’ or tenants’ & residents’ organisation in Scotland. The organisation should have made a positive contribution or outstanding achievement to the tenants’ movement by working to represent the views of its members. The judges for the award this year are: Allan Todd, a member of the TIS Executive Committee; Michael Boal of the Scottish Government; Suzie Burt of Perth & Kinross Council; Phyllis Gillian of the Association of Clydebank Residents Group; and Sandra MacIntyre of Grampian Housing Association. The award will be presented to the winners at the Gala Dinner of the TIS Annual Conference on Saturday 1st June 2013 at the Crowne Plaza Hotel, Glasgow.